Mondo’s design expertise and attention to detail reflect perfectly the values that need to be communicated in all marketing materials for Larini – the world’s leading designer of high performance engine component systems for Italian and British Supercars. 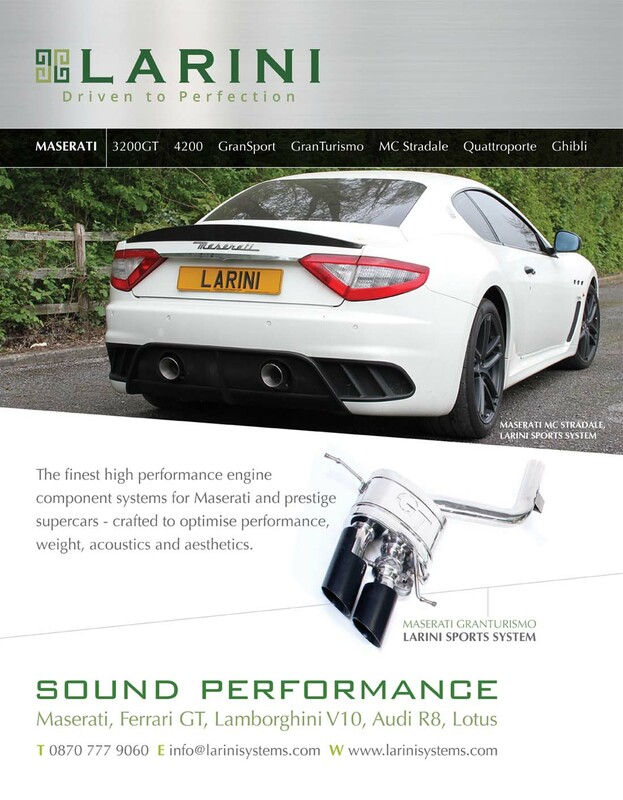 Targeting discerning owners and motorsport enthusiasts, international advertisements created by Mondo convey both style and technical benefits afforded by Larini products’ aerospace engineering, aviation grade materials and sensational sound. Mondo works to ensure all printed items, from stationery to direct mail pieces, uphold the quality and sophistication on which Larini prides itself.